The ethylene glycol produced in the ethylene oxide scrubbing operation acts as an antifreeze to allow year-round operation. Problem: A specialty gas producer was confronted with an EPA compliance problem in dealing with ethylene oxide (EtO). The chemical had been added to the toxicity lists of the U.S. EPA and the Occupational Safety and Health Administration (OSHA). Effective August 21, 1984, the OSHA standard for EtO limited exposure to a 1 ppm, eight-hour time weighted average. Ethylene oxide is used to sterilize many pharmaceutical and hospital supplies. Typically, EtO is supplied in cylinders as a mixture with Freon-12 or carbon dioxide. A standard cylinder contains 135 lb of product, of which about 16 lb is EtO. When a customer is finished with an EtO cylinder, it is returned to the specialty gas producer. Before recharging a cylinder, it must be purged of any remaining EtO and then cleaned. The purged EtO presented a problem in removal and disposal. Solution: An ethylene oxide scrubbing system was designed for the gas cylinder area. It consists of a specially designed 28 ft packed tower, a 400 gal holding tank, valves, and recirculation pump. Gas purged from returned EtO cylinders is directed to the scrubber and is channeled upward through the packed bed as scrubbing liquid flows countercurrently over the packaging. A mist eliminator at the top of the packed bed prevents entrained liquids from escaping with the vent gas. The water soluble EtO is hydrolized to ethylene alcohol and then to ethylene glycol, a relatively inert and harmless chemical. The conversion of EtO to ethylene glycol involves first breaking the EtO bond to release oxygen and ethylene radicals before the ethylene radicals in turn form ethylene glycol. Because mass transfer and hydrolization factors are critical in this two-part reaction, the system was designed to ensure adequate dwell time. The conversion reaction is also hastened by using an acid catalyst. Results: The EPA evacuated the scrubbing system and monitored its operation after installation and found it to meet all compliance criteria. The scrubber is rated at up to 99% efficiency depending on the amount of EtO introduced. Periodic reevaluations are made by the EPA and state environmental authorities to ensure proper operation. The system was rated at 150 cfm, a case of design overkill intended to act as a safety cushion. In a worst case scenario, if an EtO cylinder were returned completely full, only 4 cfm of EtO would reach the scrubber. Typically, only residual EtO is introduced to the scrubber. The ethylene oxide scrubber system has been on-stream about six years. About once a month, the scrubbing media is checked for volatility, flammability and pH — to determine how effectively the EtO is being hydrolized into ethylene glycol. After the EtO is converted to glycol, it functions as an antifreeze to keep the outdoor system operational throughout the winter. When the holding tank shows evidence of excess glycol, a disposal company is called to remove the by-products. Content analysis typically finds the material to be non-volatile with a pH of 7.1. Once a year, the scrubber is subjected to more radical maintenance. The system is taken apart to check the screens and make sure that they are not clogged with polymer and that there is still a good dispersion rate of the EtO. 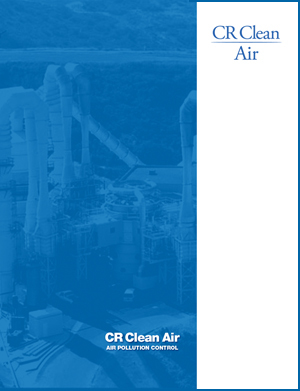 In the six years of operation, scrubber performance has been highly satisfactory. The unit performs to spec with minimum maintenance, and that maintenance is easily done by staff personnel without need to call in the manufacturer’s service team. After observing the success of the unit, the company added similar ethylene oxide scrubbers to its other facilities.